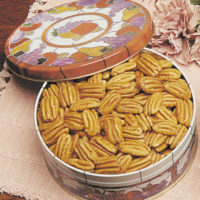 The Twelve Teas of Christmas (48 tea bags) – Whaley Pecan Company – Quality Fresh Pecans Since 1937! 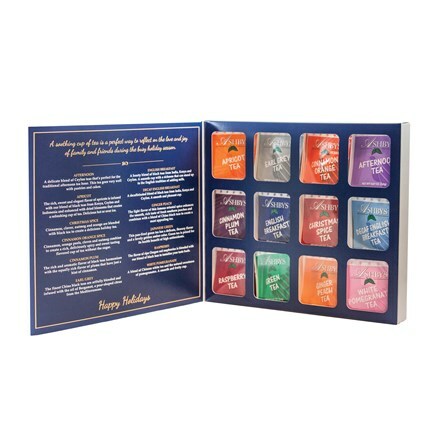 This elegant Twelve Teas of Christmas invites your customers to open this gift to view an assortment of our best-selling teas. 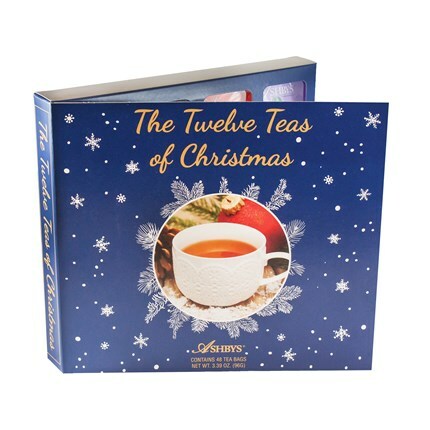 Each gift contains 48 tea bags, 4 each of these 12 varieties: Afternoon, Apricot, Christmas Spice, Cinnamon Orange Spice, Cinnamon Plum, Decaf English Breakfast, Earl Grey, English Breakfast, Ginger Peach, Japanese Green, Raspberry and White Pomegranate.